Dr. Asim Awan (also known as “Dr. Awesome” by his patients) has been practicing dentistry for well over a decade. He earned his Doctor of Dental Surgery from the University of Illinois College of Dentistry and completed a General Practice Residency in the Department of Oral Surgery at Indiana University. Upon returning to Chicago, he practiced as a general dentist while helping revive the Boys and Girls Club of Chicago Dental Clinic and working with public schools to provide dental care access to all students. These efforts inspired his passion for children’s care, and he completed his Pediatric Dentistry training at Northwestern University/Ann & Robert H. Lurie Children’s Hospital of Chicago. 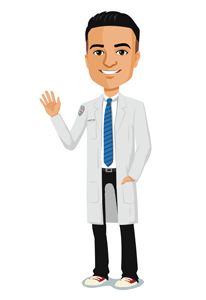 Today, Dr. Asim is a board-certified Diplomate of the American Board of Pediatric Dentistry, and he works hard each and every day to help children have a positive, safe dental care experience. Every growing smile is unique, and he hopes to instill good habits that last a lifetime! Outside of work, he enjoys spending quality time with his wife Umera, family, and friends. As a proud Chicagoan, he is a big fan of all the sports teams, especially the Cubs and Bulls. Other hobbies include snowboarding, playing basketball, traveling, working on motorcycles and cars, playing video games, and collecting Air Jordans! 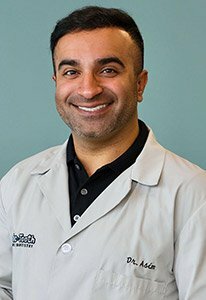 Dr. Asim is a Certified Invisalign Provider and is a member of the American Academy of Pediatric Dentistry, Illinois Society of Pediatric Dentists, American Dental Association, Illinois State Dental Society, Chicago Dental Society.